Mark Falcon is a freelance agent for British Intelligence. That does seem a bit of a contradiction but in this case it fits. What really makes it appropriate, though, is that when he is not doing small errands for his old spymaster pal, Harry Killian, Falcon is a well respected freelance journalist. As such, Falcon can and does flit all over the globe for his day job of writing articles for various magazines and even the occasional book. Sometimes, though, the destination is chosen to do a job for Killian, writing about something else at the time. 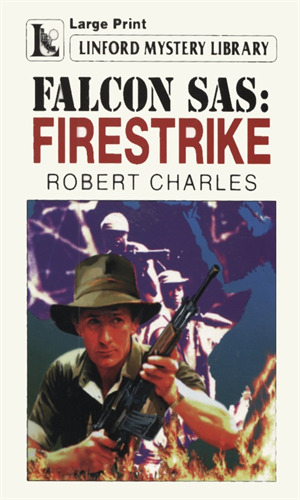 For fifteen years Falcon had been a member of the highly elite Special Air Service, seeing action all over the world where Britain still had interests in the late 80s, the period of time in which these recorded adventures take place. It was on one such mission that then Captain Falcon had been escorting senior officer Killian in Oman when rebels set off a roadside explosive which cost Killian an eye and a left arm. Both men would spend a long period in the hospital. The elder man would slide over into the Intelligence field while Falcon would remain in the Service. For Falcon, though, the love of his work had drained from him, not because of his injuries but because while he was recuperating, the rest of his team, men he had proudly trained and led, had gone down in a helicopter accident. Though Falcon would work on a couple of tours in Northern Ireland, he never again wanted to lead a team and chose to be largely a solo act. Not long after, he decided something else was needed. He chose journalism. From time to time, though, he would gladly do the odd job for Killian out of respect for the older man and out of a still-burning love of action. He still "possesses the whole wealth of S.A.S. skills", "trained in every anti-terrorist technique and in every aspect of jungle, desert and urban warfare". The intermittent mission for Killian let him keep his hand in the game while not having to dedicate his entire life to it. When wearing his journalist/writer hat, Falcon, still "blessed with high intelligence and a creative and enquiring mind", would, besides reporting, also write books, the first of which was a "detailed study of terrorism and guerrilla warfare throughout the world" which surprisingly became a bestseller, largely because every Intelligence organization in the world bought a large number to hand out to all their people. So Falcon, a man in his mid 40s and still in terrific shape and stamina, was the perfect candidate for the "little" jobs Killian was frequently finding. 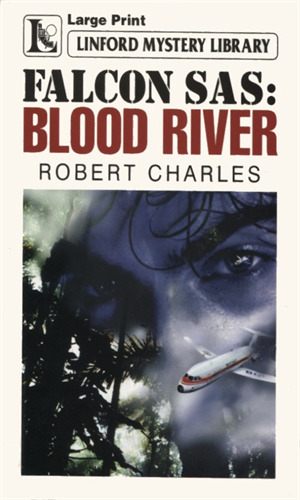 When a plane carrying UN diplomats crashed in jungles of central Borneo, it was Mark Falcon who was called to head up-river to find the wreckage and rescue any survivors. Getting there would prove difficult but getting out alive would be even harder for someone really wants everyone dead. Mark Falcon's sometimes boss, Harry Killian, asks Falcon to head to Mozambique to check out really two things. First was what was really going on at Project Vulcan, an East German satellite-launching facility recently set up there. Second was how close were the rebels there to getting their hands on some very nasty weaponry. When I pick up any book by this author, I know I am going to get a character that is interesting, action that is fast and constant, and a plot that makes sense while still being exciting enough to want to follow. This series, which never got the publicity or backing that it deserved, fits into that grove wonderfully. I liked Mark Falcon a lot and would have loved more about him. Unfortunately, there were just the two adventures but at least I had those. There is a danger when an author has more than one series that the characters might be twins but I never got that vibe from anything the author gave me and happily that extends to Falcon. He is quite a bit different from the others while still be a very resourceful, dependable, and deadly man. If there had been more, I would certainly have bought them. That should say a lot.